Hole In One Prize Winner Scores New Set of Irons! Sick of hearing about all of Hole In One International’s hole in one winners? Of course you’re not – and we aren’t either! This time, it’s time to give it up for Terry Haugh of Iowa! Haugh aced the par 3 hole #4 which was measured at 164 yards at Lake Carol Golf Course while participating in The Rolling Hills Foundation Golf Tournament on June 3rd. Haugh managed to ace the hole with his lucky club that day: his 6 iron. Haugh was awarded a brand new set of Nike Victory Red Pro Cavity Irons for his amazing accomplishment that day at Lake Carol. There were other prizes out on the course that day as well which were on separate holes. As you may know, having extra auxiliary prizes to shoot for is just one of the many perks of purchasing hole in one insurance with Hole In One International. Congratulations again, Terry… and we hope that your new set of irons help you in any/all of your future golfing endeavors! Having a golf tournament this season? Shoot us an email or give us a call today at 800-827-2249 for a free, no obligation quote. We’ll get you set up and you’ll be well on your way to possibly becoming our next featured prize-winning acemaker! 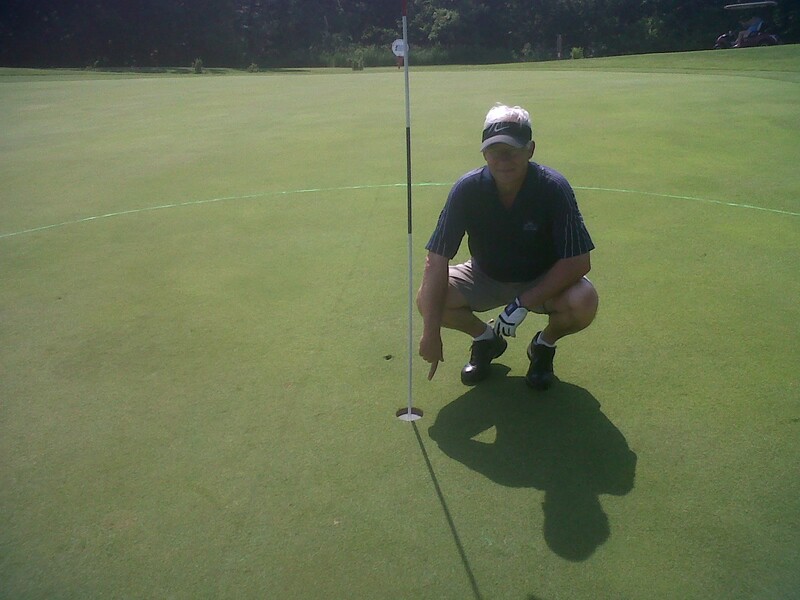 Home » Blog » Hole In One Prize Winner Scores New Set of Irons!